Reading progress update: I've read 104 out of 308 pages. 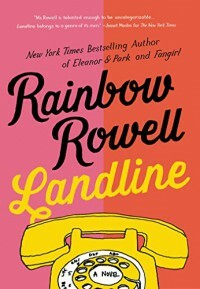 My first Rainbow Rowell! She's such a hyped-up author so I'm glad I'm finally getting to see what all the fuss is about. I'm enjoying this so far, but I've realized something since starting this: Contemporary/romance novels take me forever to get through! I've read just over 100 pages in four or five days, which is really slow for me. I love me some chick-lit, but I very rarely find them so engrossing that I want to constantly be reading. I don't know why, but contemporary romance to me is usually just "10 minutes of cuteness before bed" and not "Oh wow I freaking love this book." Even though I'm liking the premise of this book, I don't want to read more than a few chapters a day, and that's usually the case with books similar to this. Not a bad thing, just something I've noticed.